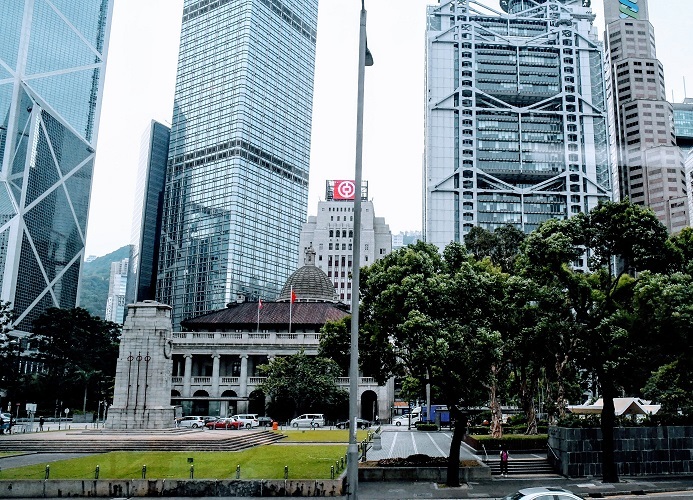 In November 2017, The Stock Exchange of Hong Kong Limited published the Consultation Paper on Review of the Corporate Governance Code and Related Listing Rules. It then published the Consultation Conclusions on 27 July 2018, which sets out the amendments to the Rules Governing the Listing of Securities on the Exchange and the Corporate Governance Code and Corporate Governance Report (Appendix 14 of the Listing Rules). The amendments, which are set out in Appendices III and IV of the Consultation Conclusions, will become effective on 1 January 2019. Along with the Consultation Conclusions, the Exchange also published the Guidance for Boards and Directors in July 2018 to help boards and directors perform their roles more effectively by providing benchmarks and best practice guidance. (v)	require greater transparency of dividend policy. (1)	To address the issue of overboarding and INED’s time commitment, Code Provision (CP) A.5.5 of the Code is amended to require the board to state in the circular to shareholders accompanying the resolution to elect an INED its reasons for determining that the proposed INED would be able to devote sufficient time to the board if the person will be holding the seventh (or more) listed company directorship. (2)	On the issue of diversity of the board, CP A.5.6 of the Code is upgraded to become a specific rule of the Listing Rules requiring issuers to have a board diversity policy and to disclose the policy or a summary thereof in the issuers’ corporate governance reports. CP A.5.5 of the Code is also amended so that the board should state in the circular to shareholders accompanying the resolution to appoint an INED its diversity consideration, including (a) the process used for identifying the INED nominee; (b) the perspectives, skills and experience that the nominee can bring to the board; and (c) how the nominee would contribute to diversity of the board. (3)	The Listing Rules and CP C.3.2 of the Code are amended such that there will be (a) an extension of the cooling off period from one year to two years for a proposed INED who was a director, partner, principal or an employee of certain professional adviser to be considered independent; (b) a one year cooling off period for a proposed INED with material interests in the issuer’s principal business activities to be considered independent; and (c) an extension of the cooling off period from one year to two years for a former partner of the issuer’s auditing firm to act as a member of the audit committee of the issuer. (4)	The Mandatory Disclosure Requirement (L.(d)(ii)) under the Code is amended to require the issuers to disclose their policy for the nomination of directors adopted during the year in the annual reports. (5)	CP A.2.7 of the Code is amended to state that the chairman should at least annually hold meetings with the INEDs without the presence of other directors (including other non-executive directors). (6)	CP E.1.5 of the Code is added to require the issuers to disclose their policy on payment of dividends in the annual reports. (iii)	board diversity and policy; (iv)	risk management and internal control. (vi)	corporate governance for weighted voting rights issuers. Nevertheless, the Guidance does not form part of the Listing Rules, nor do they amend, vary any requirements of the Listing Rules, or absolve issuers or their directors of any obligations to make their own judgment. Details of the amendments to the Listing Rules, the Code and the Guidance can be found on HKEX’s website.